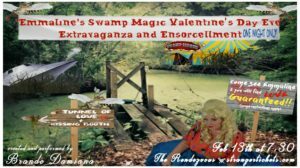 Join swamp circus star Emmaline for a light hearted discussion on love and how to find it by unlocking the swamp magic that is already in your heart. 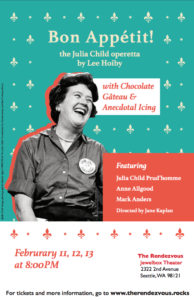 Audience participation in casting ensorcellments that are guaranteed to help YOU find love by Valentine's Day (some restrictions apply). In The Grotto @ The Rendezvous in Belltown, Seattle.